JUNE!!!! Yay its my Birthday Month so I am very excited about it!! And to kick off the Month my delivery of the June Test Box Arrived on time on the 1st , Most impressive as it was a Monday lol (When the 1st falls on a Monday Delivery that day is rare but Clearly The Test Box is well organised)This Months Box has got 3x 100ml sized sample bottles of the Paul Mitchell Color Care range. The Color care Conditioner, Color Care Shampoo and a Wonderful bottle of the Color Care leave in color protect spray. For Everyone that has color on their hair, this is sent from heaven. I have got dark hair and I still color it , I color it different shades of brown depending on what mood I am in (And how many grey hairs are showing lol, yes I have those too!) so I do have color on my hair and I know the annoying feeling of having to keep on going back to color it and never mind the cost of it. 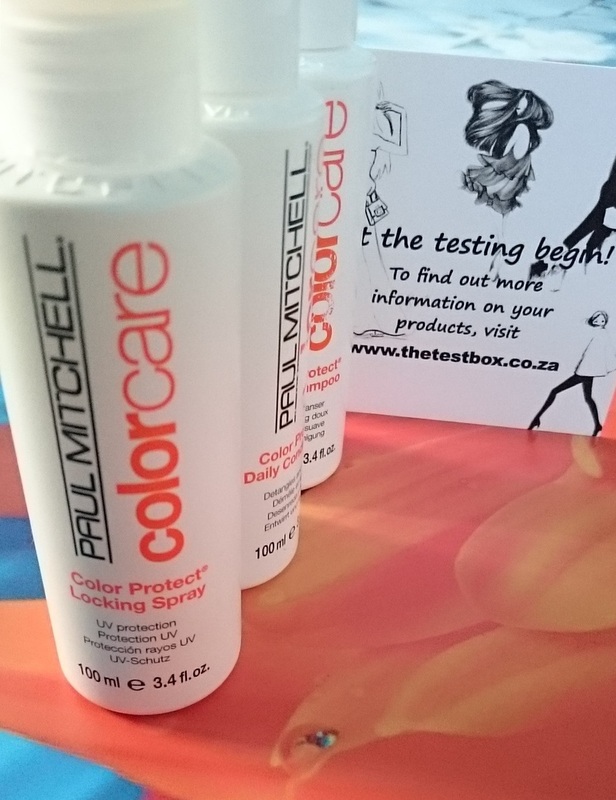 This Paul Mitchell color care range is designed to help make your color look its best and last its longest!! Its a Daily care range, its gentle on hair and the conditioner untangles well so you can use it everyday if you are the kind of person that washes your hair daily, I do mine like once a week. Now I actually didn’t want to use the shampoo.. its got sulfate in it.. So I Decided to torture my husband and do his hair haha , My first impression of the shampoo was that I did not like it. It smells Funny (kinda like my dogs shampoo) and it didn’t wash very nicely… Ok now just hold on, I Decided this morning to Try it Myself, one little sulfate filled wash isn’t gonna do damage and I really wanted to get the right opinion of the item as I know I have used Paul Mitchell before and I absolutely loved it. So this morning I gathered my hair items (its like an event for me) and washed my hair :) Iv now changed my mind about the shampoo, its got a clean neat kinda smell to it and it washed my hair perfectly and gently and i did actually end up liking it. Moving onto the Conditioner.. Its nice and Creamy and smells pleasant, it spreads easy through my hair and it untangled it very well so that i could easy comb through my hair and when I got out the shower it wasn’t all knotted up and crazy like it normally is when I fling it out of the towel . My hair felt very much soft and Treated by it. 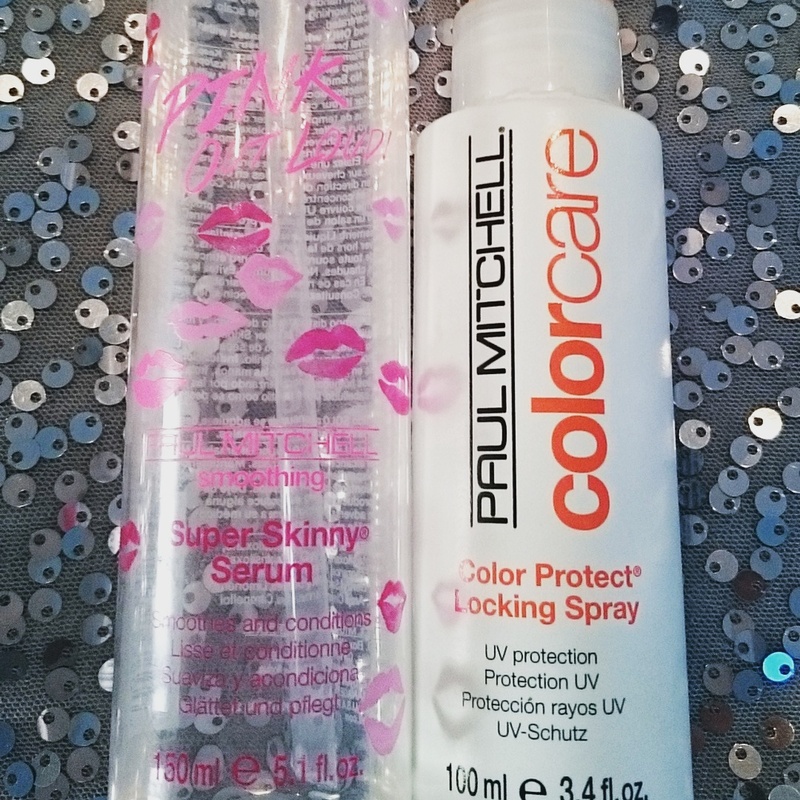 My most Favorite item out of this months box is the Paul Mitchell leave in color care locking spray!! its AMAZING hehe , I went a bit over board with spraying it on my hair and I figured I was probably gonna end up with sticky hair once I was done drying but it was not at all sticky, in fact I couldn’t even notice I had something sprayed all over my hair it was so fantastic and light, its got great UV protection and Sunflower seed extract that has left my hair super shiny and silky soft. It just perfectly finished off my look today And has actually left my color looking all healthy and happy but that could be due to how shiny it has left it. its Vibrant! And it is just the Perfect friend for my long long time Favorite (DONT go without) Product, The Paul Mitchell Skinny Serum! Love love it sooooo Much! hehe Anyways I can successfully use the Leave in spray before drying and then also use the Skinny Serum without my hair getting heavy and feeling like iv put too much on it. I am now on day 3 after washing and my hair still feel very clean and happy. 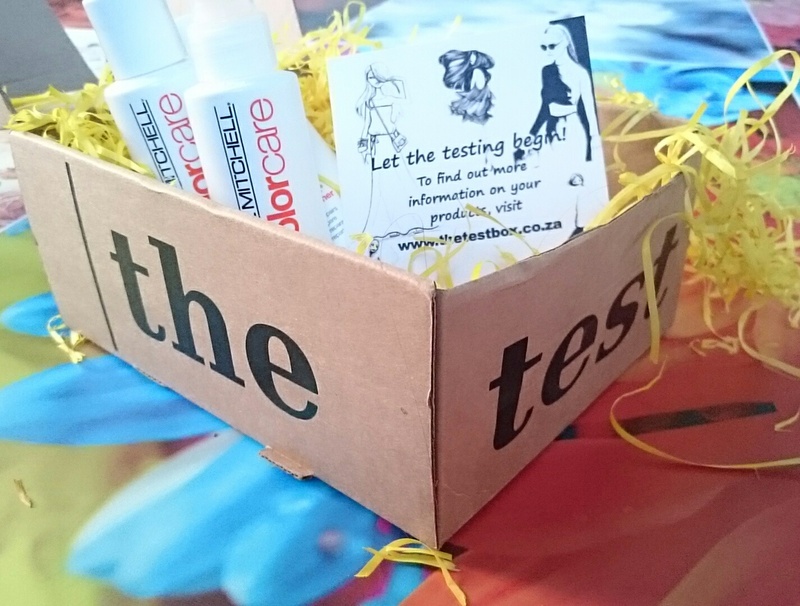 Thanx to The Test Box for a Lovely choice in Products as usual! 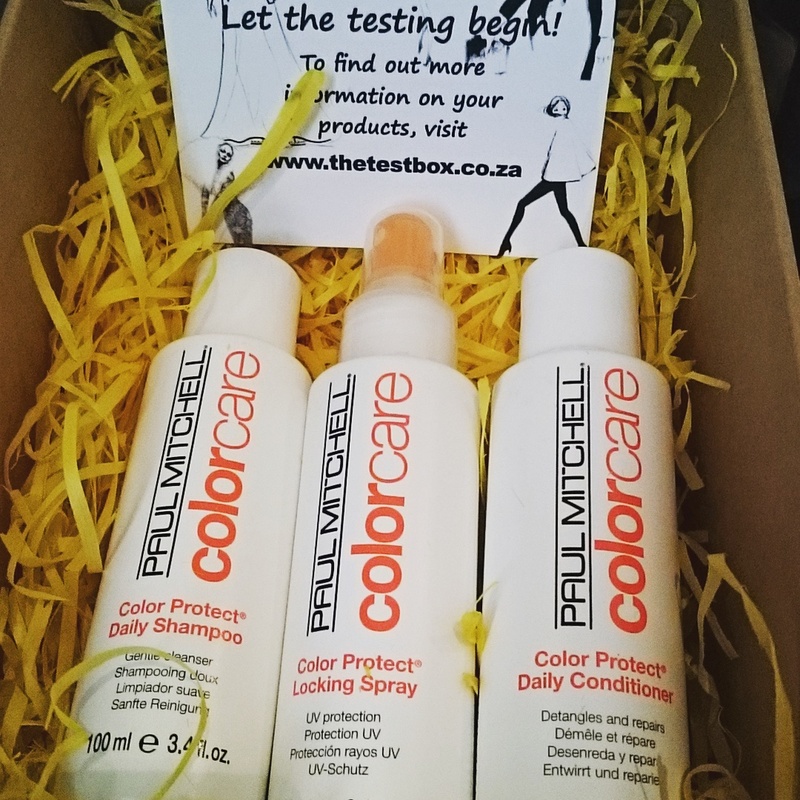 Head over to www.thetestbox.co.za And have a look! The site also has lovely deals on other Salon Quality hair care products And I totally love the convenience of shopping online! Kevin Murphy, More about The Brand – Eco Friendly and Awesome to use!